Officially licensed and designed to look like the original game cartridge, ADVENTURE: The Atari 2600 Game Journal features endpapers with color screenshots of gameplay (including an Easter egg planted by the designer) as well as an insert with instructions from the original game manual. With black-edged pages and sticker artwork showcasing the iconic orange dragon, ADVENTURE: The Atari 2600 Game Journal is a pixilated trip down memory lane. Officially licensed and designed to look like the original game cartridge, ASTEROIDS: The Atari 2600 Game Journal features endpapers with color screenshots of gameplay as well as an insert with instructions from the original game manual. 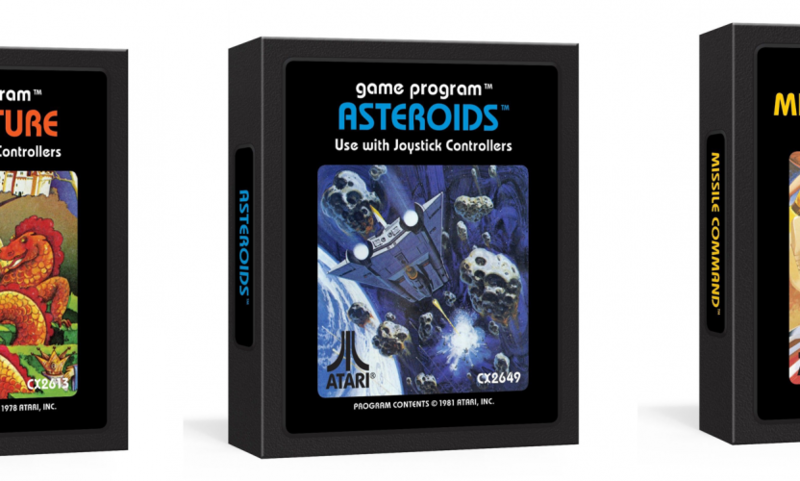 With black-edged pages and sticker artwork showcasing the iconic rock-blasting spaceship, ASTEROIDS: The Atari 2600 Game Journal is a pixilated trip down memory lane. Officially licensed and designed to look like the original game cartridge, MISSILE COMMAND: The Atari 2600 Game Journal features endpapers with color screenshots of gameplay (including an Easter egg planted by the designer) as well as an insert with instructions from the original game manual. 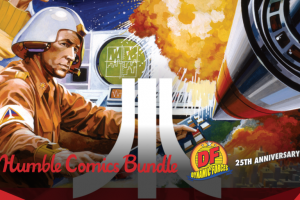 With black-edged pages and sticker artwork showcasing the Cold War-inspired nuclear control room, MISSILE COMMAND: The Atari 2600 Game Journal is a pixilated trip down memory lane. Example of a blank journal page. 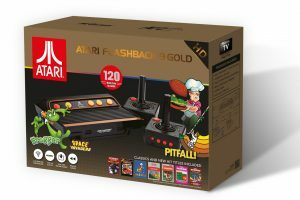 AtGames Announces 2018 Line-up of Atari-branded Consoles and Handheld Products!